The rise of Deep Learning techniques has attracted special attention to GPUs usage for better performance of model computation. Most frameworks for Cognitive Computing include support to offload model training and inferencing to graphics hardware, and this is so common that GPU designers are reserving die area for special function units tailored to accelerating Deep Learning computation. Measuring the capability of a hardware platform to run these workloads is a major concern for vendors and consumers of this exponentially growing market. In a previous work  we analyzed the execution times of the Fathom AI workloads  in CPUs and CPUs+GPUs. In this work we measure the Fathom workloads in the POWER8-based “Minsky”  platform, profiling power consumption and energy efficiency in GPUs. We explore alternative forms of execution via GPU power and frequency capping with the aim of reducing Energy-to-Solution (ETS) and Energy-Delay-Product (EDP). We show important ETS savings of up to 27% with half of the workloads decreasing the EDP. We also expose the advantages of frequency capping with respect to power capping in NVIDIA GPUs. 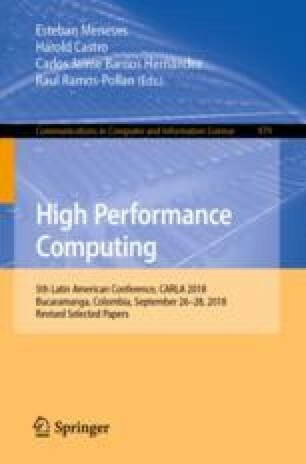 This work was partially funded by SeCyT-UNC 2016 grant 30720150101248CB “Heterogeneous HPC” and 2016 IBM Faculty Award “Resilient Scale-Out for Deep Learning on Power Systems”.